Dr Pino is a wonderful doctor. He listens to my concerns and very professional. My every visit to his office isa smooth process. Dr Pino is a wonderful doctor. He listens to my concerns and very professional. My every visit to his office is a smooth process. Dr. Alejandro Pino was born and raised in Miami, Florida. He graduated with AOA academic honors from Howard University College of Medicine prior to completing residency at the University of Miami/Jackson Memorial Hospital, one of the busiest trauma centers in the United States, where he also served as chief resident. He went on to gain extensive training in various new and innovative techniques in the treatment of foot and ankle disorders at the prestigious Hospital for Special Surgery in New York City, after which he practiced orthopedic surgery at St. Luke's-Roosevelt Hospital Center and the Mount Sinai, Hospital System with a focus on orthopedic trauma and foot and ankle surgery. 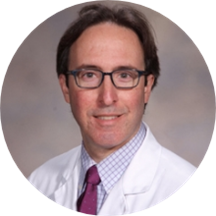 Dr. Pino has regularly been recognized as a Super Doctors Rising Star, and was voted Mount Sinai Roosevelt Residency Teacher of the Year for his role in resident education. Dr. Pino has published multiple papers on various foot and ankle pathology and procedures, and has presented his findings at the national convention for the American Orthopaedic Foot and Ankle Society. He is fluent in English and Spanish. Excellent friendly staff. Explains everything in very simple terms. Wait time was a bit long but it was expected. Once in it was rather quickly. Doctor Pino, was great. Very professional, great bedside manner. Took his time to explain everything and answered all my questions. Amazing Doctor!! Takes the time to sit there and listen to your concerns and what’s going on with you! This wasn’t the first time I was seen my Dr. Pino.. he’s truly an awesome Doctor! Dr. Pino is wonderful. I had been treating with various doctors for a full year for the same injury. Unlike my other doctors, Dr. Pino offered a solution and set up the surgery quickly so that I could finally move onwith my life. I am very happy with the results of the surgery. The doctor is great, is the staff who is a little out of hand, not too proffesional. The doctor himself is fine; good bedside manner, very informative and polite. The unacceptable part was the wait time. It was about 2 hours and I wasn't the only one upset, almost everyone in the waiting room was appalled. Friendly staff, short waiting time. Doctor Pino was very friendly and professional. Asked me a couple of times if I had any more questions. Dr Alejandro Pino explained in details my situation and offered me solutions to my case . I was very satisfied with his recommendations . The staff were attentive and helpful . Very professional and knowledgeable. Reasonable waiting times and great service from assistants. The Doctor is very knowledgeable and professionally speaking has very good bedside manner,very caring and in spite of a very busy practice takes time to listen Yo the patient something unheard of this day in other practices.And his staff hasbeen well chosen,after all a Dr is as good as the staff that works for him ,even when they are very busy they are very polite to the patients,again something not seen this days.Im a retired Registered Nurse.